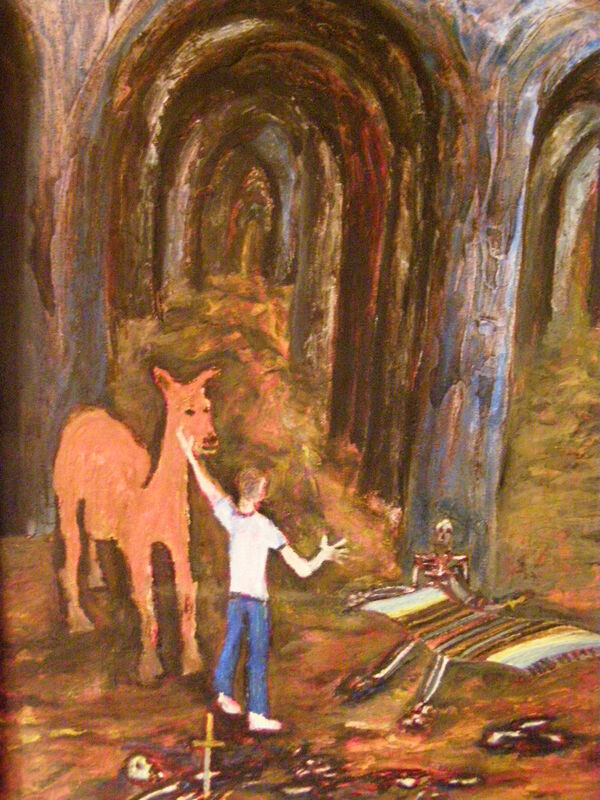 The 2nd painting the “Dreams of a Mexican Blanket” series. Tourist Boy and his Camel get separated from their tour group and find the mysterious blanket. Oil on canvas.